I seriously buzz off this now, and I never used to. 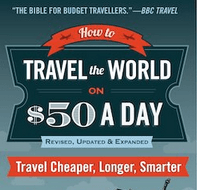 It used to be “get to a city, find a bar, have a beer” and chill out and on with the adventure. These days, things have changed. I want to write more about these experiences and share my bars with everyone so you can visit them too! New city, new bar, new beer, new blog post for you all! Every time I’m in a new city which hasn’t been well covered on the travel blogging circuit (or even the drinking circuit), I always want to visit at least 5 bars in each of these spots. I hand pick them myself and then compile them into these top 5s. 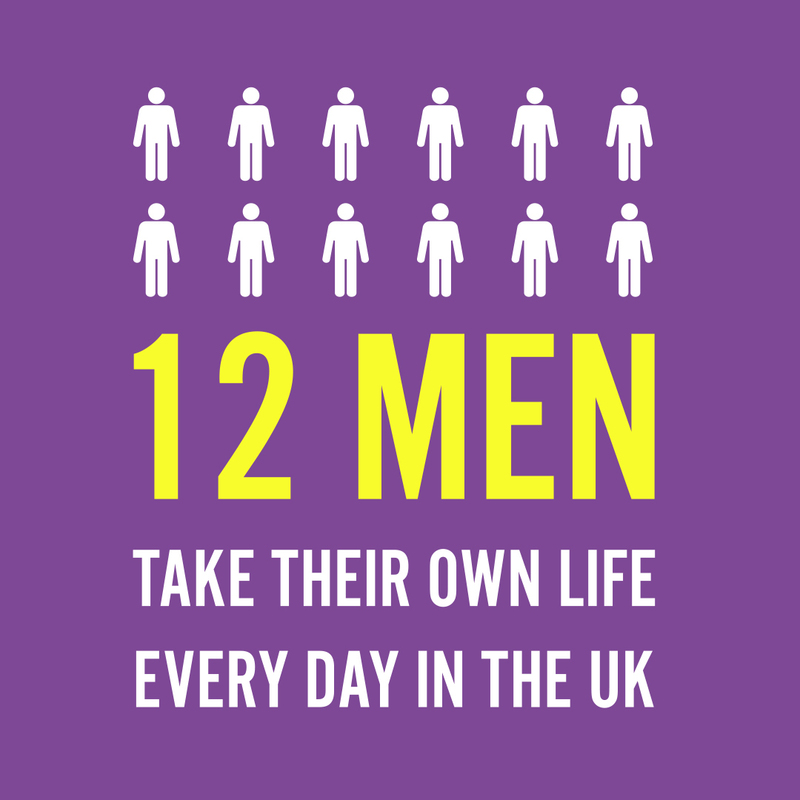 I love doing it and it must be stressed none of these posts are ever sponsored or influenced. It would probably be a surprise for any of these bars if they ever came across my site to find a Northern Irish backpacker includes them in a top 5. 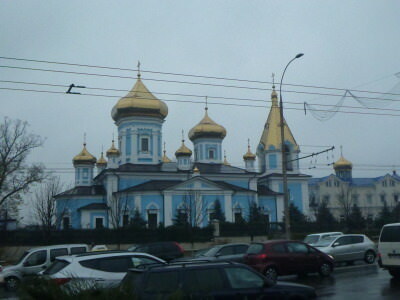 So to Moldova. Famous for wine and not beer, of course. 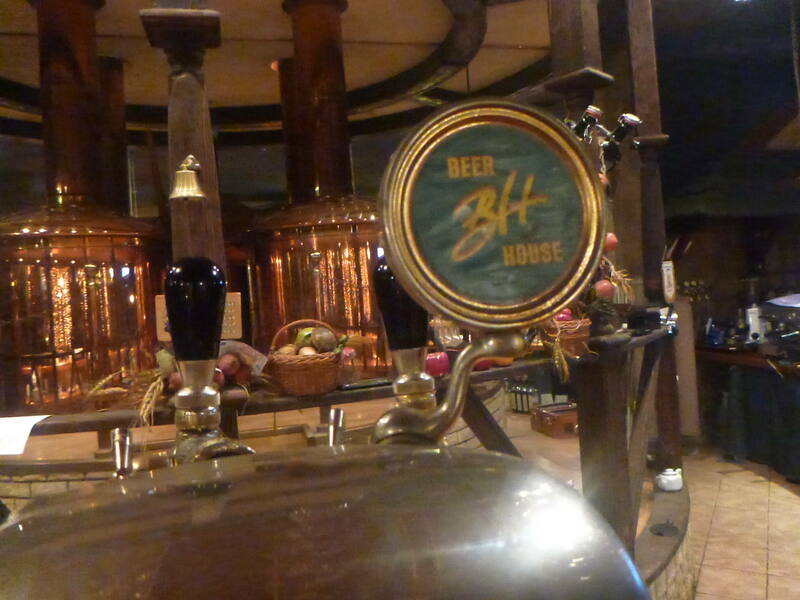 But Don’t Stop Living has focused on beer adventures, so I bring you a top 5 bars for a wee beer (or if you’re prone a wine) in Chisinau. Moldova’s capital inches itself skyward against its rivals. I’d pick Chisnau any day now over Moscow, Minsk, Riga and Tbilisi. A few other ex USSR capitals I’ve jaunted in and out of on my journeys. 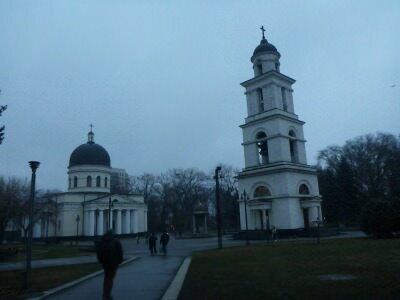 Chisinau sits in the background, charmingly awaiting its moment of fame. I have no doubt it will come. Get the border train from Romania into Moldova, find yourself a base (I went for the Tapok Hostel) and start exploring a charming capital city. 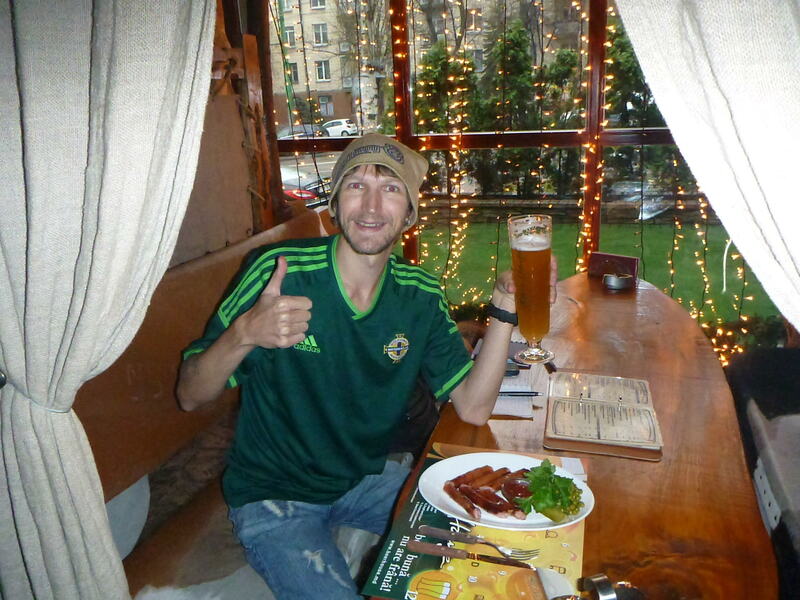 Here are my personal top 5 bars in Chisinau (formerly Kishinev). It’s my number one. 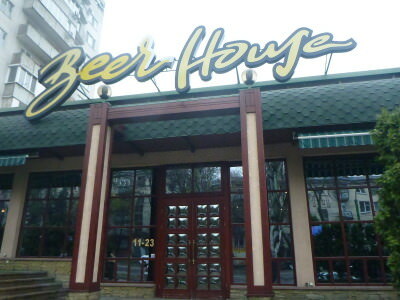 Beer House is in a great location, has cool staff (Igor was my local barman for 4 days!). 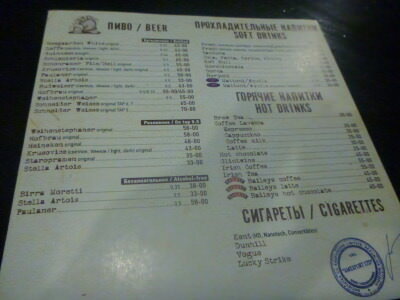 Not only does this place have swanky decor and typically welcoming Moldovan staff, but they have good food, free wi-fi and they brew their own beer. 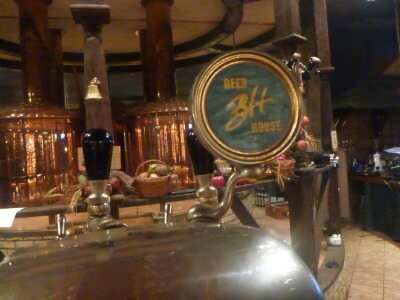 Loving the homebrewed beer in Beer House. 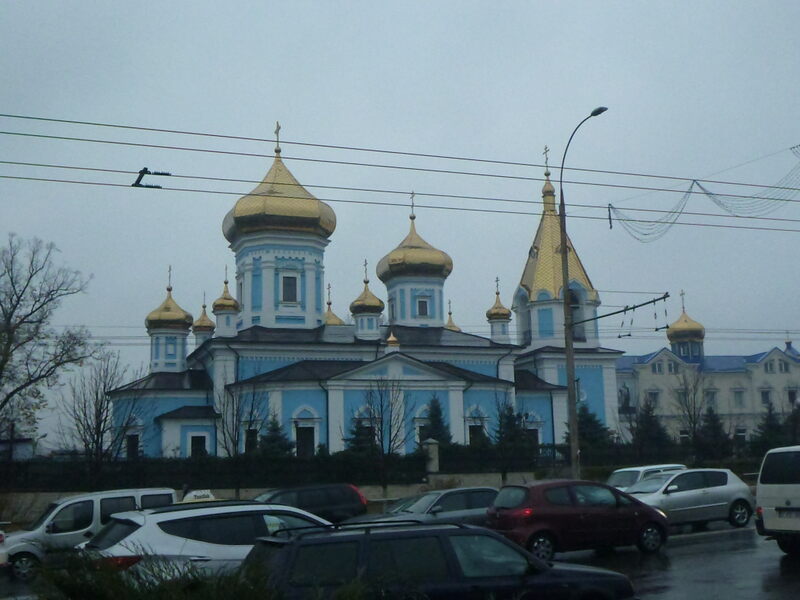 It’s a winner and hence why I based myself in here 3 times on the only 4 days I had in the Moldovan capital. 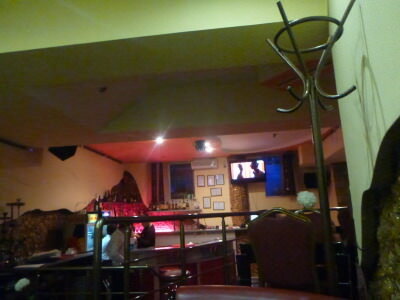 A mixture of a cafe and a bar, this one is on the main street through downtown Chisinau, Boulevard Stefan cel Mare. This made it an easy stop off for a beer while touring the sights of the city in the pouring rain. 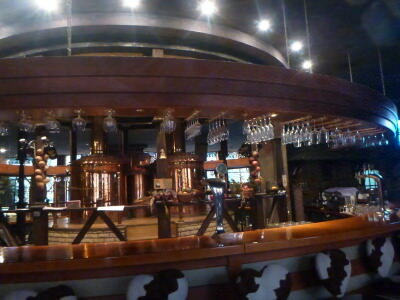 Cafe Nefertiti – A Chisinau Lager. Pink Martini is a swanky nightclub and bar and as I walked past looking in trhough the window at its blinding lights and happy customers, I had to pop in. Curiosity killed the cat, but the bar was great. Welcoming staff and within minutes of being inside, Alex who was drinking at the bar asked if I would do a song in karaoke in English. 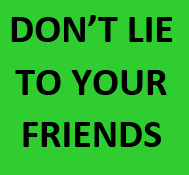 He sorted it out with the DJ and I hit them all with a Pulp song – Common People! 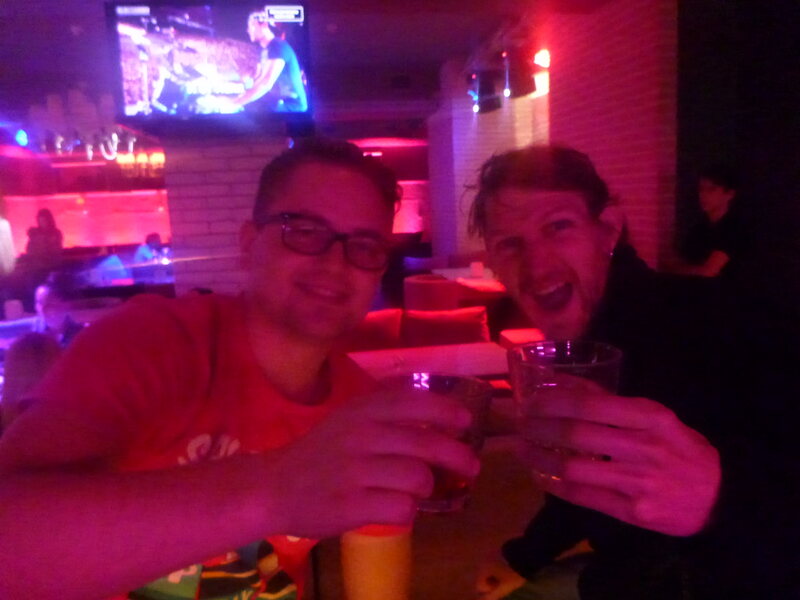 Drinking with Alex in Pink Martini Bar. I’m not sure how much the crowd took to me and my Jarvis Cocker moves here in Chisinau but I certainly enjoyed it. 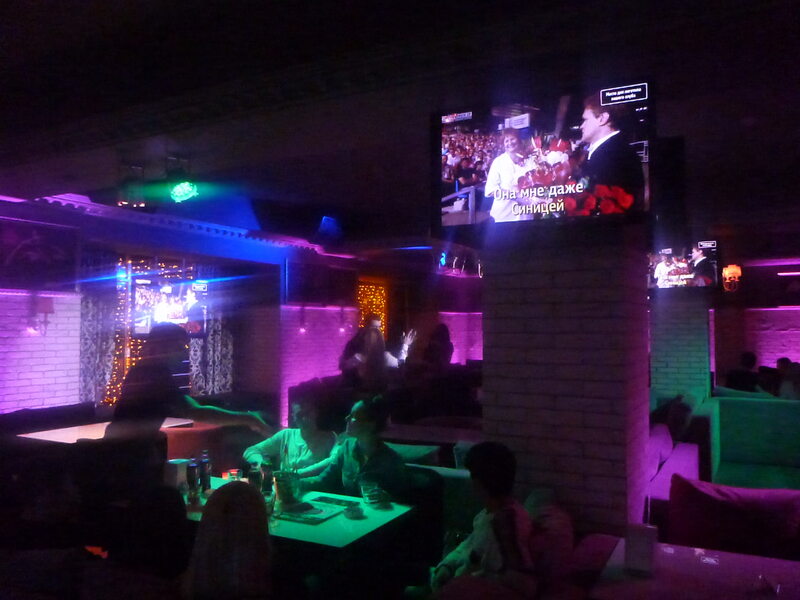 It’s a karaoke bar/club and stays open late. 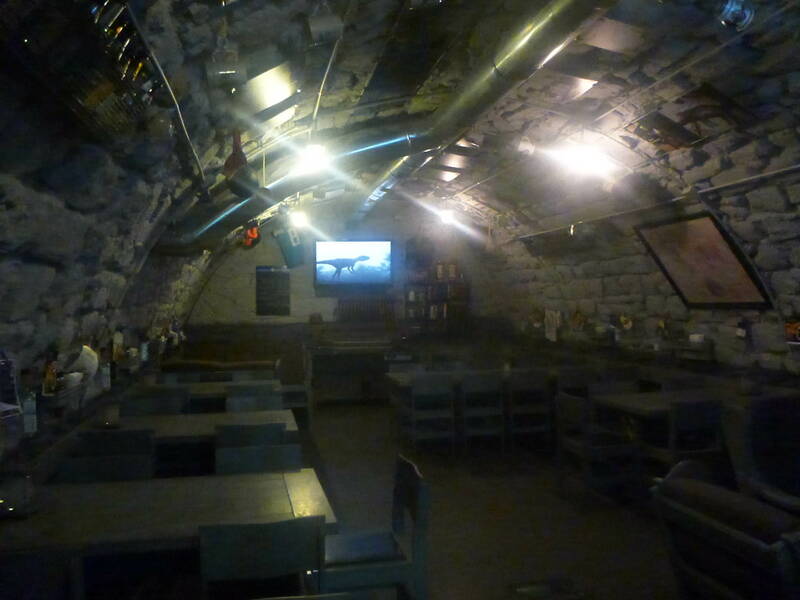 Beer Time underground bunker bar. 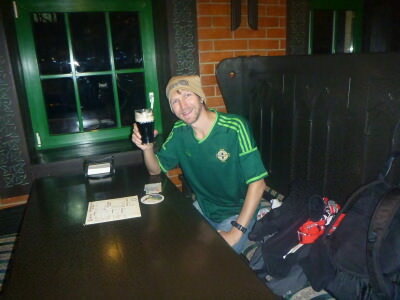 Who goes all the way to Moldova for a pint of Guinness? Me, it seems! I headed into the Dublin and was shocked to find that a pint of Guinness here was cheaper than it would be back in my home town of Bangor! Amazing eh? Cheaper Guinness than in Bangor? Surely not! 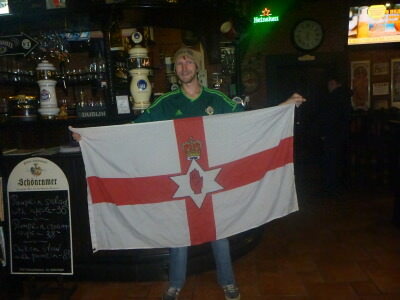 Flying my Northern Irish flag in the Dublin Pub, Chisinau. 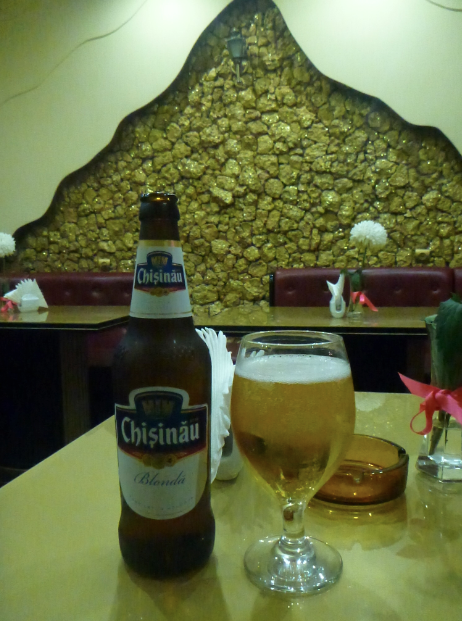 Thirsty Thursdays: Cheers from Chisinau, Moldova! So Thirsty Thursdays to you all – hope these 5 bars start you off when you hit up Chisinau in Moldova. I visited a few others and also a wine cellar in Butuceni. It’s a wonderful country. This entry was posted in Central Asia/Middle East, Chisinau, Daily Features, Moldova, Thirsty Thursdays. Bookmark the permalink.